The Burnham Teaching Partnership was set up to offer people in the local community and from further afield the opportunity to train to teach in local primary and secondary schools. As a trainee at one of our nine schools you will be provided with a personalised training programme that will enable you to develop your knowledge and understanding of how to teach and how to enhance your classroom practice. The successful development of these key attributes over the course of the year will lead to Qualified Teacher Status being awarded, with the possibility of attaining the PGCE as an additional academic qualification. Training in our partnership offers you the chance to not only attain the QTS award and become an excellent classroom teacher, but also the potential to be employed within a partnership school and embark upon an exciting career in teaching within the local area. 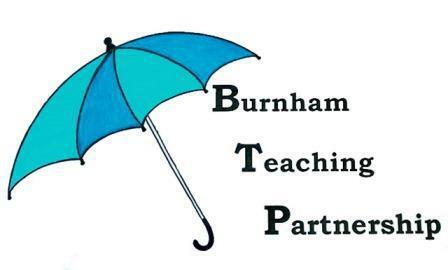 The Burnham Teaching Partnership has nine schools to train within across South Buckinghamshire and Slough. Applicants, if successful, will have the chance to work with bright students within either a grammar or comprehensive school settings, or help nurture pupils at the start of their education within one of the partnership primary schools. We work with the University of Reading and the Middlesex University, within easy travelling distance of the partnership schools, to give the best training possible. Each of the schools are within close proximity of the M4 and M40 motorways as well as walking distance from future Crossrail railway line stations. Please go to www.burnhamgrammar.org.uk to see the new NQT Vacancies section will list jobs within the Partnership schools for Newly Qualified Teachers.